Buckle up it’s National Safety Month! Some of us have learned the importance of safe driving while others have experienced it first hand; in every way we understand the importance of safety and the benefits of using defensive driving practices. 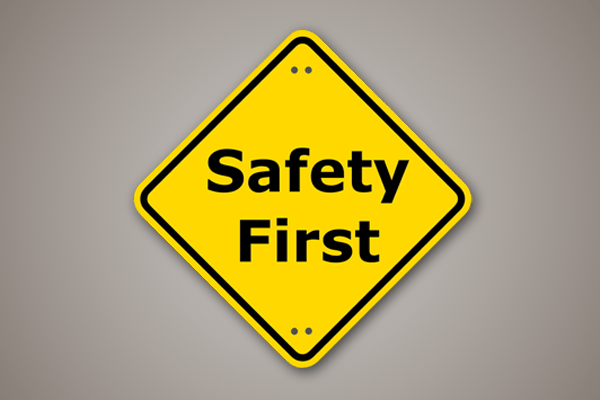 National Safety Month reinforces positive driver habits that we often forget as we become experienced drivers. Initiated to educate, the program aims to increase awareness, promote defensive driving, and keep driver distractions to a minimum. Along with the safety basics such as wearing a seat-belt, reduced speeding and appropriate signalling, there are other factors that aid in road safety. The number of vehicles on the road only grows each year resulting in busy streets and more traffic than ever. This requires a lot of patience and the need to follow safety laws to ensure all vehicles move in order. It is essential to understand your road responsibilities either as a motorist or as a pedestrian; when working together traffic will not only sail smoothly but will keep all the commotion organized. Making eye contact is often a good way to quickly communicate your intentions, reducing room for error and accidents. A large number of accidents occur due to factors that are out of our control such as vehicle breakdowns. Having regular maintenance to ensure your vehicle is in safe working conditions will not only extend the life of your vehicle but also keep you safe. Regular vehicle maintenance is financially more resourceful than having to make one large investment when your vehicle breaks down. This will hamper your pockets and also cause traffic to build on the roads. Defensive DrivingDefensive driving courses are available and essential to learn how to handle your vehicles in all situations. These courses are offered to new and existing drivers to help lower risks behind the wheel. Sometimes you might not be “the bad driver” but being aware of aggressive driving helps to keep you safe. As dull as an in-class instructional lecture might seem you might just gain a few insights to best driving practices! And as an employer of drivers – it’s crucial to make sure your team is well versed in defensive driving. We live in the day and age of technology hence, keeping distractions to a minimum while driving is often encouraged as a safety precaution. Many of us are guilty of shooting a quick text while at the lights but a few seconds can sometimes have a huge impact. It is challenging to minimize distractions but it is also important to do so. Positive behaviours & defensive driving minimize many risks. Start your stride towards safer roads today! Read how Airtel Kenya uses vehicle GPS tracking devices to improve road safety.